Well, we all knew it was coming. With the motion picture industry’s transition away from 35mm film to digital production and distribution it was only a matter of time before the need for film laboratories would disappear entirely. The industry took a step closer toward that end when on Tuesday when Deluxe Laboratories announced the company would close its Hollywood film lab on May 9th. Along with Technicolor, Deluxe grew into one of the largest processors and handlers of 35mm film in the world, with offices in Asia, Australia, Europe and North America. 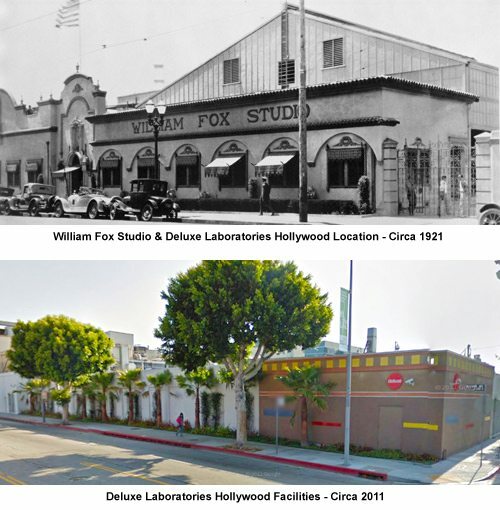 The company’s Hollywood facilities date back to the founding of Deluxe in 1919, when they opened their doors adjacent to Fox Film Corporation. Both companies were founded by William Fox, one of the industry’s first movie moguls. The capture and exhibition of motion pictures has transitioned from film to digital in recent years. Our processing volumes have declined sharply and as a result, the laboratory has incurred significant financial losses. This has forced us to make this very difficult decision. Following the recently-announced closure of the Deluxe laboratory in London, our only remaining film processing facility will be the small front end facility in New York. I would like to thank all of our employees for their incredible contribution to the success of Deluxe, their dedication to meeting the needs of our many customers and their loyalty in recent years as the business declined. Our employees have been the key to all of our successes as a film processing business. While emotionally attached to our 100 year legacy with film, we are firmly focused on the future of Deluxe. In this historic time in our industry, we wanted to thank our customers for their business and for their trust. We look forward to servicing their needs in the entertainment media marketplace for the next hundred years and beyond! Earlier this year Paramount Pictures made public their intention to stop supporting film and only release films digitally starting with their holiday release “The Wolf of Wall Street”. Given the number of studios that Deluxe counts as clients, this is clear indicator that, as we predicted, other Hollywood distributors will soon be following Paramount’s lead. Deluxe provided no information on whether closing its Hollywood operations will result in layoffs and if so, how many employees would be affected. Nor did the company make clear what it intends to do with the facilities in the long run; whether they intend to sell the plant or utilize it for their ongoing service offerings. Ironically, if that’s even the correct word, it was just this past Sunday during the Oscars telecast that most of us saw a clip of director Christopher Nolan at February’s Academy of Motion Picture Arts and Sciences annual Scientific and Technical Awards accepting an Academy Award of Merit bestowed upon “all those who built and operated film laboratories, for over a century of service to the motion picture industry”.